If you’ve ever wondered why birthers, inside jobbers, and other conspiracy theorists won’t simply take the truth at face value, two researchers at OSU have found that we tend to ignore – and reject – instant corrections to data. 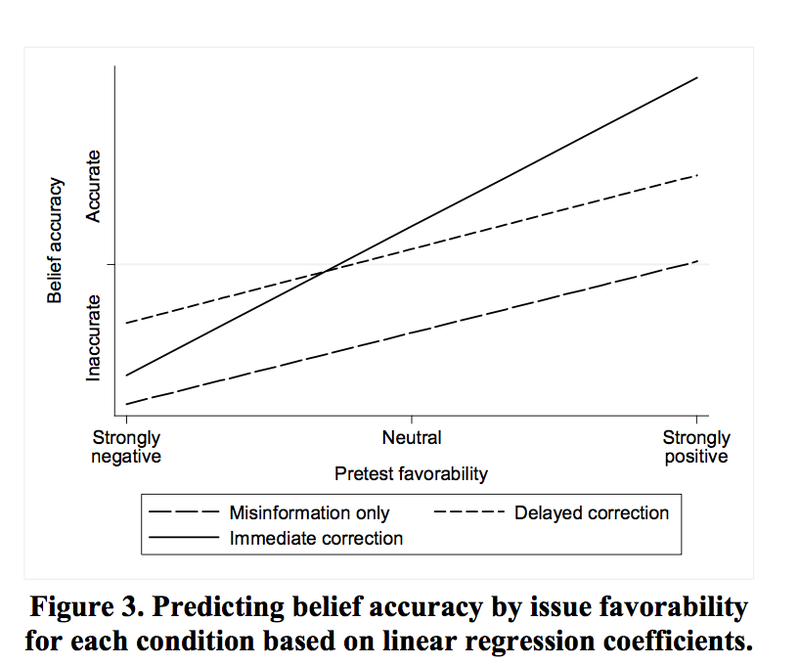 The study, performed by R. Kelly Garrett and Brian Weeks, examined what happens when untruthful information is immediately corrected in a news story. While some programs claim to call out false information automatically, such systems make users “more resistant to factual information.” That’s right: the more truth we read, the more we tend to believe strongly-held lies. The scientists gave participants one of three pages of information about electronic health records (EHRs), a potentially divisive topic for some. One page showed false information and “inaccurate statements were italicized, enclosed in brackets and displayed in red, and a detailed correction appeared at the bottom of the page.” Others read a post with errors, were given a three-minute task, and then shown the corrections. Finally, others were given the page with false information intact. 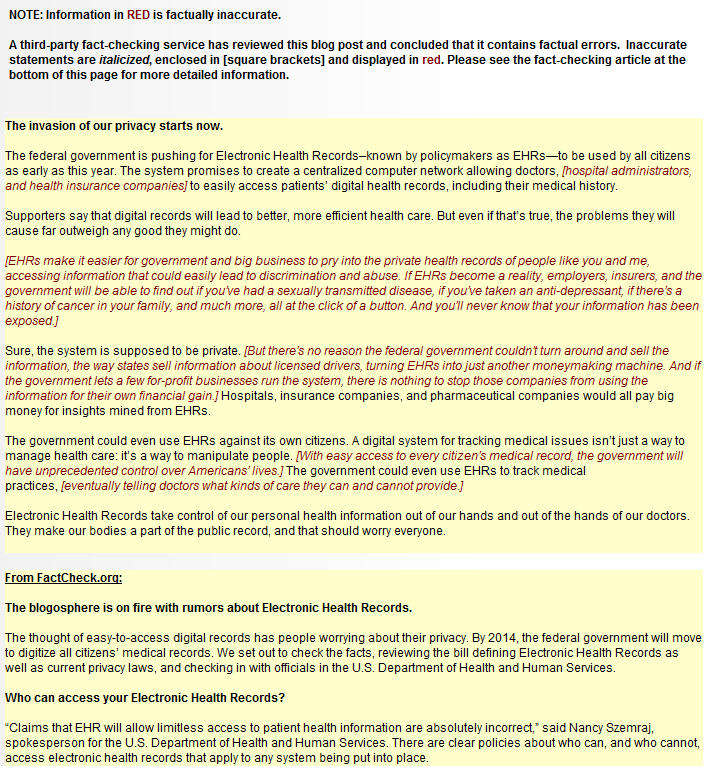 Later, the researchers asked “how easy or difficult it would be for several groups (including hospital administrators, government officials and others) to access electronic health records.” Those who supported EHRs tended to get higher scores on the test while those who were opposed to EHRs answered as if they hadn’t been corrected at all. In short, the corrections made no impact on their opinion and later accuracy of information. To extrapolate, if you’re a supporter of President Obama (or any figure, really), corrections to inaccurate information would change your recall of that information. If you’re against him, the corrections wouldn’t matter. The bottom line? “We would anticipate that systems like Dispute Finder would do little to change the beliefs of the roughly one in six Americans who, despite exhaustive news coverage and fact checking, continue to question whether President Obama was born in the U.S.,” said Garrett.